This time of year, we get so excited about decorating our homes to reflect the festive vibes in the air. Whether we are switching up our home decor for the winter or celebrating the many holidays that come around this season, showing off our personalities within our homes is always lots of fun. One of the best and easiest ways to upgrade our homes and create a mood is with a really great smelling candle. Whether we are setting the mood for a date night in or simply want to treat ourselves to the sweet smell of gingerbread cookies, there is a candle scent for every personality and preference. We are especially obsessed with fragrances from Yankee Candle. It’s the brand that has been beloved for generations not only for its quality candles but also for its innovative and fun scents. We love how the brand’s candles seem to last forever! A scent like the Black Sand Beach is perfect for our bedrooms, which is created with black orchid, jasmine and patchouli. To keep our bathrooms smelling fresh, we set the Sheer Linen scent which smells like “linen sheers dancing in the breeze,” according to the brand. See it: Snag five Large Classic Jar and Tumbler Candles for just $60 at Yankee Candle! Sale ends December 14. The best part about the Yankee Candle brand? So much is on sale right now! From gift sets to grab bags to candles of varying sizes and styles, there is something for everyone on our shopping list. Naturally, we will be treating ourselves to the candles as well. Out of all the sweet deals on the site, the best one that we are jumping on (admittedly, for ourselves) is the Yankee Candle Fragrance Tote. The bag is full of beautiful scents perfect for creating a festive mood this holiday season. How could we pass up on a bag full of candles that is on sale for the price of a single full size one? Score! See it: Snag the Yankee Candle Fragrance Tote (marked down 78 percent off its original $100 price, now $22) while it is still in stock. No need to fret over mixing and matching scents while we are candle shopping. 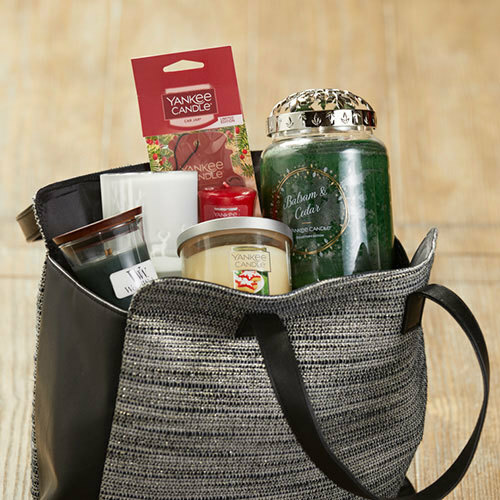 We can simply scoop up this Yankee Candle Fragrance Tote full of goodies and call it a day. The Yankee Candle Fragrance Tote packs a generous assortment of eight items that all have a scent associated with winter time and the holiday season. The set has a Holiday Lights Large Classic Jar in Balsam & Cedar, a Small Tumbler Candle in Christmas Cookie, a Samplers Votive Candle in Frosty Gingerbread, a Car Jar in Sparkling Cinnamon, a WoodWick Mini Jar Candle in Frasier Fir, a Silver Snowflake Illuma-Lid® Jar Candle Topper and a Stag Flickering Votive Candle Holder. In other words, we are going to be fully stocked all winter long with this fragrance tote bag. All of it comes in a metallic woven tote with a magnetic closure meant to hold everything securely. We will definitely be putting that to use for other things after unloading all of those pretty candles. We love that this bag has a candle for every room in our homes, plus one for refreshing the atmosphere in our vehicles. Everywhere we go from the house to the car is going to smell magical all season long! It is especially sweet to snag something from Yankee Candle so close to Christmas since the holiday is what birthed the first candle from the brand in 1969! Since then, Yankee Candle has made special fragrances from the holiday season and beyond! There are so many scents to choose from and in so many different sizes. 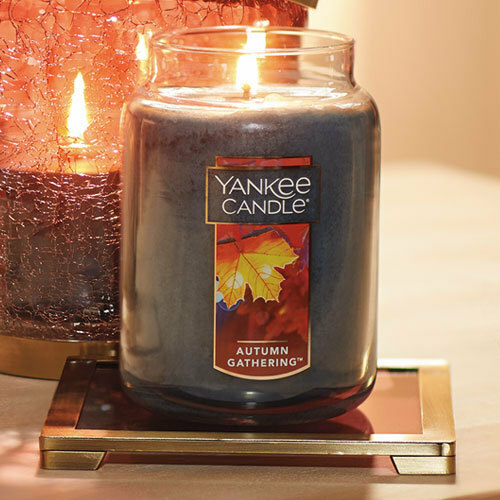 From fall choices like Apple Pumpkin and Autumn Woods to yummy scents like Buttercream and Bakery Air — there is no idea we could dream up that Yankee Candle does not already have. Check out these additional sales taking place at Yankee Candle right now! We cannot wait to snag these deals and also treat people we know to one of America’s most popular candle brands while so many products are on sale right now. See it: Snag the Yankee Candle Fragrance Tote (marked down 78 percent off its original $100 price, now $22) while it is still in stock. Want to pick out your own scents? Browse the different Yankee Candle sales while so many deals are available. Also snag five Large Classic Jar and Tumbler Candles for just $60 at Yankee Candle! Sale ends December 14.